Our Thursday Three Hundred sings a midcentury song with tons of cool retro features in its 1,545 square feet. Located at 1526 Oates Dr. in the Crestview East neighborhood, this home offers modern updates and finishes that fit in beautifully, too. With painted brick walls, a built-in brick planter, vaulted ceilings, and lots of natural light, it feels like a Palm Springs residence. But instead, you’ll be near North Buckner Boulevard and Ferguson Road in a fast-changing neighborhood behind Casa Linda and next to Linwood Park east of White Rock Lake. This dynamic area is seeing lots of activity from buyers who have been priced out of other East Dallas neighborhoods, like Little Forest Hills or Lakewood Heights. 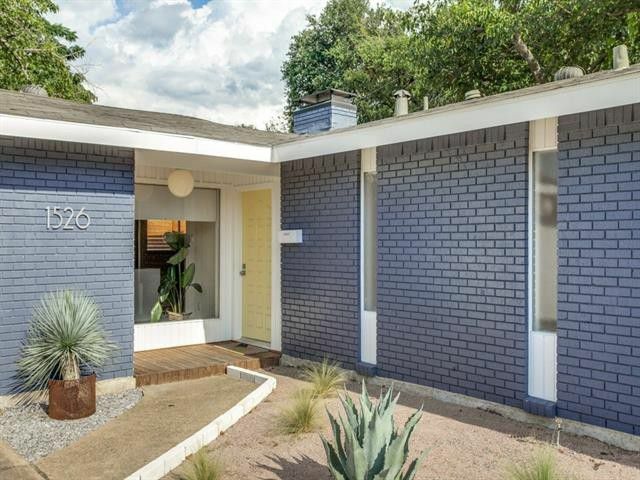 This one-story Crestview East home has three bedrooms and two bathrooms, built in 1961. 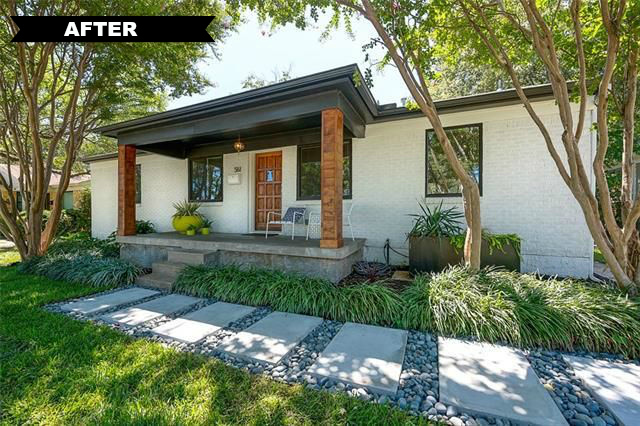 With the popularity of 1950’s homes on the market, our Thursday Three Hundred is sure to please. 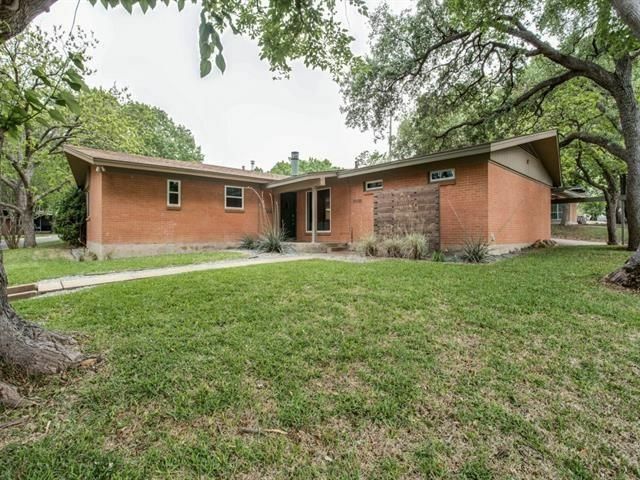 The Lakeland Hills midcentury at 11008 Glen Echo Ct. is a study in retro appeal, from its pink brick exterior to terrazzo tile entry. 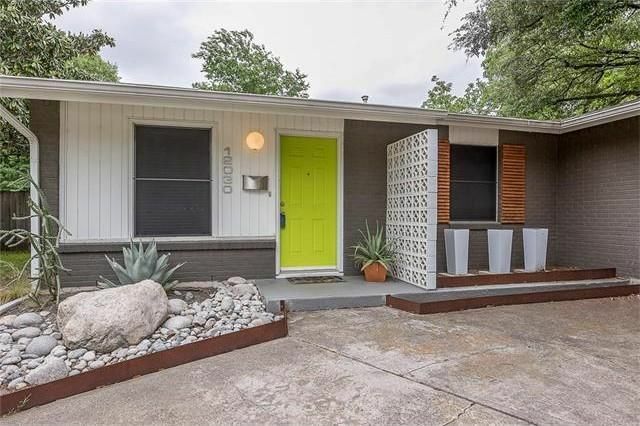 Located near Northwest Highway and Plano Road, this home has three bedrooms, two bathrooms, and 1,432 square feet on one story, built in 1959. Let’s take a look! As Joanna mentioned, it’s fall home tour season in Dallas. 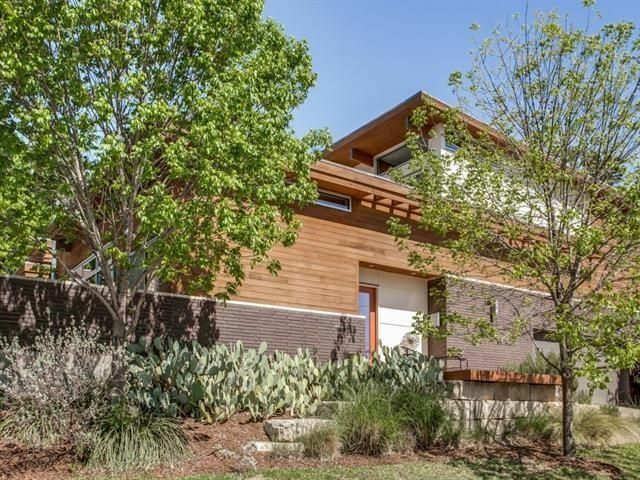 One of the events we’re super excited about is this Saturday: the Modern Mile Dallas Home Tour. 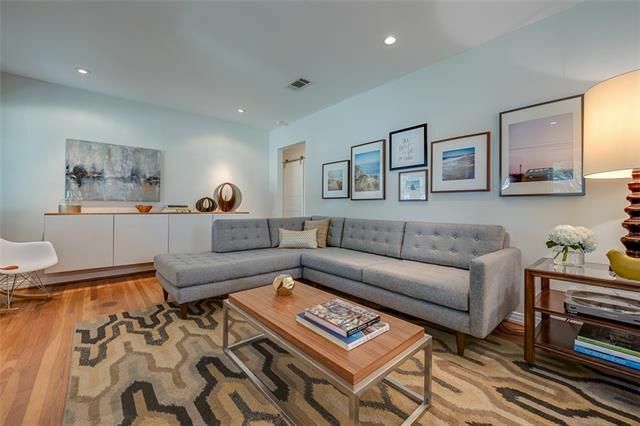 It’s a celebration of modern architecture in one square mile, and all homes on the tour are walkable within that area. The Modern Mile properties are bordered by Royal Lane, Midway Road, Walnut Hill Lane, and Marsh Lane in Northwest Dallas. The area is home to Joe’s Creek with its lush greenbelt, arching shade trees, and wildlife. 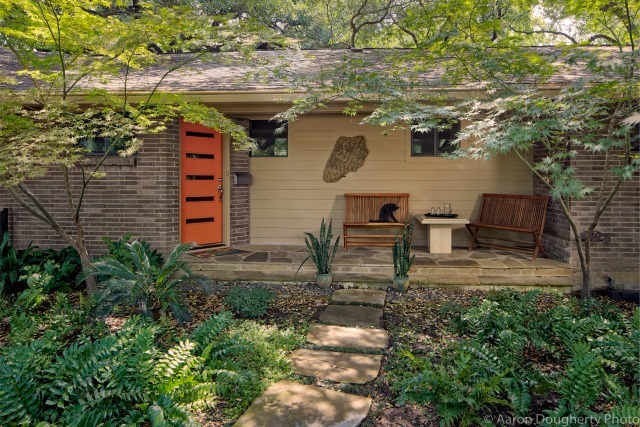 Some of the neighborhood’s original low-slung midcentury modern homes were actually built in 1954 as part of a nationwide “parade of homes.” At the time, they got national and local attention for their sleek MCM style. Other homes in the area are products of the 1960s and 1970s, and many are intact and renovated for modern living. There has also been a resurgence of architecturally significant contemporary structures built in the area. We sat down with Patti and Bill Reynolds, owners of one of the homes on the Modern Mile Dallas Home Tour at 10608 Royal Springs Dr. Their home is a midcentury modern masterpiece, originally around 1,600 square feet and built by architect Dave Huddleston in 1957. It’s an excellent example of organic architecture that works within the boundaries of a home’s vintage style and adds on in a natural way. They went to great lengths to do these big renovations and embrace what was already in their midcentury home. 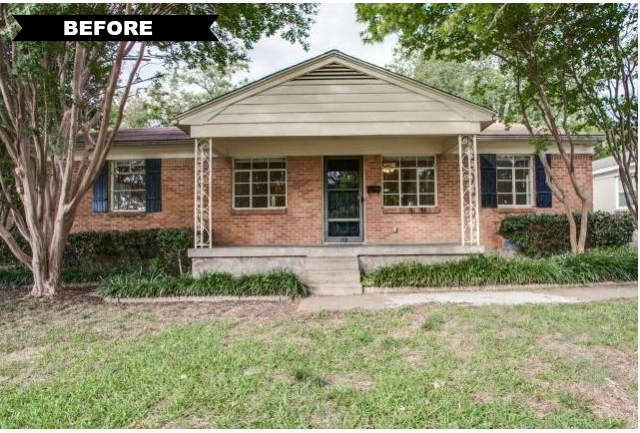 Two weeks ago, an East Dallas property in Old Lake Highlands went on the market and was featured as the CandysDirt Thursday Three Hundred. 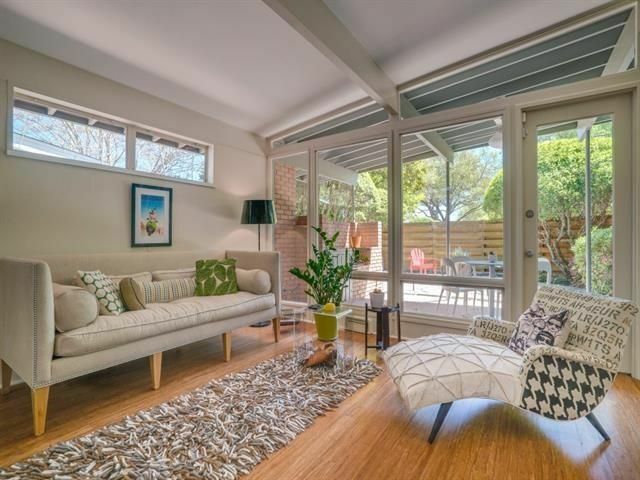 It caught our eye with its custom-build features; cohesive, elegant look; and Midcentury vibe. 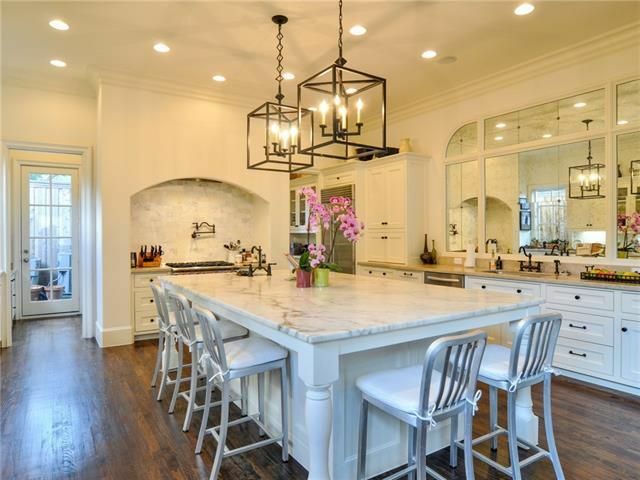 The woman behind the transformation of 561 Classen Dr. is Summer Riggins, a Dallas-area pharmaceutical rep who is self-taught and does this work in her free time. After you’ve picked your jaw up off the floor, take a moment to look through the before-and-after photos of this house to appreciate the scale of the reno that Riggins undertook. This was not just paint and floors: Riggins reimagined almost every area and made careful changes to reflect a California Midcentury Modern ranch aesthetic, honed over years of study and practice on multiple smaller projects. The Classen house is almost unrecognizable from its pre-renovation state. Riggins has been on the path to “renovation virtuoso” since childhood. “While I haven’t completed a [complete] home renovation prior to this one, I did grow up in a household where it wasn’t uncommon to come home from school and find an exterior wall knocked down, with a smile across my mom’s face and a directive we would be rebuilding it as a family,” she said. Riggins once got sent to her room for not properly drawing layouts for the home she wanted to build one day.